What better way to spend a cold winter’s night than a lively game with friends. 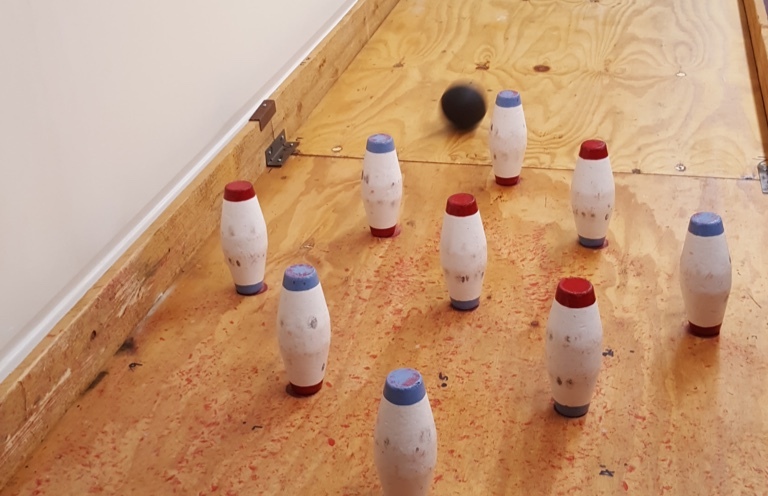 The promise of light hearted competition and a fish and chip supper drew large crowds to an indoor skittles evening at the newly-expanded Stoke Park Bowling Club pavillion on Friday. 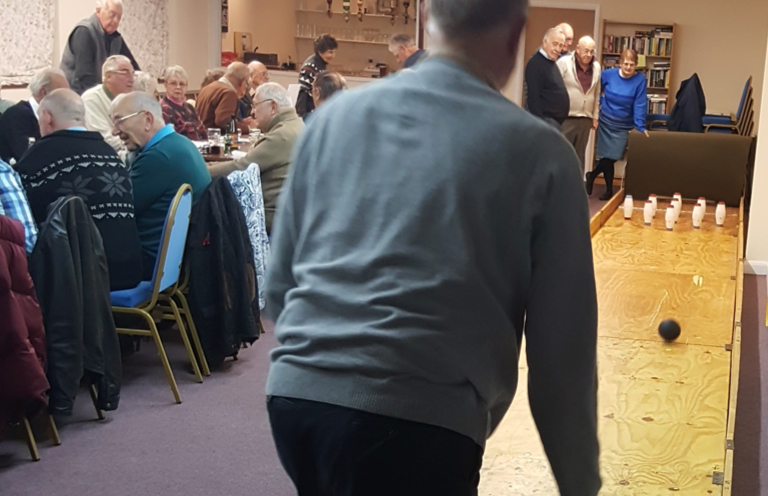 A total of eight teams comprised of club members and guests, including many from Knaphill Bowling Club, took part in a hotly contested – but refreshingly light-hearted – games night. The next scheduled social night at the Stoke Park Bowling Club pavillion will be a Beetle Drive on the evening of Friday 20th April.